Qualifications: B.Econ (1st Class Hons1) Syd Uni, Ph.D. Syd Uni, B.LLB (1st Class Hons) UNSW. Lecturer in Law at the University of Western Sydney. 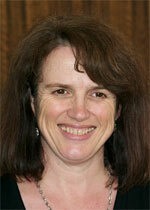 Deputy Director, Australian Institute of Women's Research and Policy at Griffith University. Working Women Panel, Fair Work Act Review, Hearings, 2012.
a Work and Family Policy in Cross-National Perspective Roundtable at the University of Sydney. Thornthwaite, L. (2014) Facebook is work, you just don't know it yet. The Conversation, 28 January. A presentation on Social Media Use and Employees' Freedom of Speech Rights, 22nd Labour Law Conference : Workplace Research Centre and Sydney Law School, forthcoming, in August 2014. A presentation on Social Media Policies and the Law, Australian Public Service Commission Forum, Canberra, March 2012. Interviews for Sydney Morning Herald, Australian Financial Review, Workplace Express, HR Report, and Workforce. Thornthwaite, L and O'Neill, S. (2015) Evaluating Approaches to Regulating WHS in the Australian Road Transport, Industry Application for an Enterprise Partnership Grant with TEACHO, $104946. Markey, Thornthwaite, Barnes, Balnave and McIvor (2015) Project to assist ACTU Casual Employment Submission to Fair Work Commission, ACTU, $37,400. Markey, Thornthwaite, O-Brien, Barnes and Balnave (2015) Project to assist ACTU Penalty Rates Submission to Fair Work Commission, ACTU, $27555 + $4950. Markey, R., Holley, S., Thornthwaite, L. and O'Neill, S., (2014) The Impact on Injured Workers of Changes to NSW Workers' Compensation: July 2012-November 2014, Report No. 2 for Unions NSW. December 2014. Webster, Carter, Howlett, Thornthwaite and Wang (2014) Developing Sustainable Partnerships and Activities for Community Well-being, PACE Development Grant Scheme, $ 8 875.77. Thornthwaite, L., Barnes, A., and Balnave, N. (2013) Member-based organisations and social media technologies, MQRDG, 2014-2015, $35,104.00. Angus, C., Markey, R. Rafferty, O'Neill, S., Thornthwaite, L and Wright, S., 2013 The performance and governance structures of industry superannuation funds in comparison to other superannuation fund categories in the Australian and international market. McKell Institute, $15,000. Markey, Thornthwaite, Fattore and O'Neill, Impact of Workers Compensation Law Reform, Centre for Workforce Futures, $20,000, May 2013 + $20,000 for 2014 follow-up survey. Markey, Thornthwaite, Fattore and O'Neill with Unions NSW (2013) Enterprise Partnership Grant, $20,000 to match Partner Participation (above). Markey, R., Thornthwaite, L., O'Neill, S., and Holley, S., (2013) The Impact of Changes to NSW Workers' Compensation, McKell Institute, Sydney, May, $20,000. Markey, R., Ferris, S., Kyngm T., Levermicocca, C., Muhidin, S., Parr, N. Thornthwaite, L., Wright, C. and O'Neill, S., Research Team at Centre for Workforce Futures, Macquarie University (2012-3) The Case for a National Portable Long Service Leave Scheme for Australia. McKell Institute, Sydney, $25,000. Thornthwaite (2000), E-Retailing - Feasibility Study, ACIRRT, University of Sydney, $8,000. Sheldon & Thornthwaite (1997), "Employer Associations, Bargaining Structures and Industrial Relations: Comparative Analysis of Australian, Swedish & Italian Metal Industry Employer Associations", Small ARC Grant, Griffith University, $9,500. Brosnan & Thornthwaite (1995), 'The effect of casualisation of the Australian workforce and its relationship to gender", Women's Employment, Education and Training Advisory Group (WEETAG), DEET, Commonwealth Government, $5,000. Louise has published extensively across a range of inter-related and inter-disciplinary fields which fall under the broad umbrella of employment relations, public sector management and employment law. Louise is one of Australia's leading scholars on employer association strategy and behaviour: in addition to her book, Employer Associations and Industrial Relations Change, Allen & Unwin 1999, co-edited with Peter Sheldon, she has published numerous articles and conference papers on these organisations. Her research has also spanned the topics of anti-discrimination law, equal employment opportunity practice, employer associations and industrial/labour law, grievance and appeals processes, flexible working arrangements, work/family balance, fiddling at work, the history and current regulation of public sector employment and HRM policy formation and implementation in the public sector. More recently, Louise has been focusing on two projects concerning social media at work: one project concerns the implications of social media for employment law and for the private lives of employees; the second project concerns the implications of social media for the strategies, behaviours and organising of representative organisations. In 2014, Louise also completed a number of articles on the implications of changes in 2012 to the NSW Workers Compensation legislation. Bolton, P. and Thornthwaite, L, (2015) 'Is Judgment Fatiguable? Considering the Case of Employee Selection Panels', International Journal of Applied Behavioural Economics, 4 (4), 36-51. Thornthwaite, L. 'Chilling Times: Social Media Policies, Labour Law and Employment Relations', Asia Pacific Journal of Human Resources, Article first published online: 2 JUL 2015 | DOI: 10.1111/1744-7941.12074. Sheldon, P and Thornthwaite, L (2015) Employer and Employer Association Matters, Journal of Industrial Relations, forthcoming in June 2015 Special Issue, 57 (3): 383-400. Holley, S., Thornthwaite, L., O'Neill, S., and Markey, R., (2015) 'Reforming a complex system, workers' compensation and return to work' Labour & Industry, 25 (2), 85-99. Thornthwaite, L and Markey, R., 2014. 'Long service leave, the labour market and portability of entitlements' Australian Bulletin of Labour, 40 (1): 2-23. Sheldon, P. and Thornthwaite, L. 2013, 'Employer and Employer Association Matters in 2012,' Journal of Industrial Relations, June. Thornthwaite, L. and Sheldon, P., 2012 ' Employer and Employer Associations Experiences of Enterprise Bargaining: Being Careful What You Wish For? ', Labour & Industry, vol. 22, no.3, 255-274. Thornthwaite, L., 2012, 'The Origins of Personnel Management: reasserting the public sector experience', Journal of Management History, vol.18, no.3, 312-330. Sheldon & Thornthwaite (2004) 'Business or Association? The strategic response of employer associations to the decentralisation of bargaining in Australia', Economic and Labour Relations Review, 15 (1) pp.128-158. Republished as ch. 9 in Sanjeev Kumar Singh (ed.) (2007) Collective Bargaining: An Introduction, ICFAI University Press, Hyderabad, 155-189. Sheldon, P. and Thornthwaite, L. (eds) (1999) Employer Associations and Industrial Relations Change: Catalysts or Captives?, Allen & Unwin, Sydney, 1999. Thornthwaite (ed) (1996) EEO Towards 2000, (ed) Conference Proceedings, CREW, Griffith University. Balnave, N., Barnes, A., Macmillan, C., and Thornthwaite, L. 2013, 'E-Voice? How Network and Media Technologies are Shaping Employee Voice' Wilkinson, A., Donaghy, J., Dundon, T. and Freeman, R. (eds) Edward Elgar Handbook of Employee Voice, Oxford, forthcoming. Thornthwaite and McGraw, P. (2012) ' Still 'Staying Loose in a Tightening World'? Revisiting Gerald Mars' Cheats at Work' in Ackroyd, Taksa and Barnes (eds) Workplace (Mis)Behaviour: cause and response, Advances in Industrial and Labour Relations, Emerald, forthcoming. Thornthwaite (2001), 'George Strauss' in M.Warner (ed.) IEBM Handbook of Management Thinking, Thompson Learning, London [modified version of original] 7 pgs. Sheldon & Thornthwaite (1999),'Introduction', in Sheldon and Thornthwaite (eds) Employer Associations and Industrial Relations Change, [see above] pp.1-24. Sheldon & Thornthwaite (1999), 'The Metal Trades Industry Association', in Employer Associations, op.cit., pp. 70-93. Sheldon & Thornthwaite (1999), 'Australian Chamber of Commerce & Industry', in Employer Associations, op.cit., pp.25-46. Sheldon & Thornthwaite (1999),'The Business Council of Australia', in Employer Associations, op.cit., pp.47-69. Sheldon & Thornthwaite (1999), 'Australian employer associations compared', in Employer Associations, op.cit., pp. 177-196. Sheldon & Thornthwaite (1999), 'Australian employer associations and the international experience', in Employer Associations, op.cit., pp. 197-224. Thornthwaite (1998), 'Strauss' in M. Warner (ed) The IEBM Handbook of Management Thinking, Thompson Publishing, London, pp.639-645. Sheldon, P., Thornthwaite, L. & Ferrero-Regis, T., (1997), 'The Federmeccanica, its changing commitment to collectivism and the remaking of industrial relations in Italy, 1980-1995", in D. D'Art and T. Turner (eds) Collectivism and Individualism : Trends and Prospects, Oak Tree Press, Dublin, pp. 77-98. Buchanan, J. & Thornthwaite (2001) Paid work & parenting: Charting a new course for Australian families, report prepared for the Chifley Research Foundation, ACIRRT, University of Sydney. [70 pgs] – Also published as ACIRRT Working Paper No. Thornthwaite (2000), E-Retailing - Feasibility Study, prepared for ACIRRT, University of Sydney. Thornthwaite (2000), Design of Dispute Procedure for the Electrical Contracting Industry, prepared for ACIRRT on behalf of National Electrical & Communications Association. Brosnan & Thornthwaite (1995), The effect of changing work forms on the Australian Workforce and its relation to gender, report prepared for the Women's Employment Education & Training Advisory Group (WEETAG), DEET, Canberra. Thornthwaite (2002) 'Work-family balance: international research on employee preferences', ACIRRT Working Paper, September 2002. Thornthwaite (1994), 'Union Growth, Recruitment Strategy and Women Workers', Institute of Industrial Relations, University of California (Berkeley), Working Paper No. 59. Brosnan, Thornthwaite et al (1996), 'Employers, Workers and Atypical Employment: A Record of Interview', Occasional Paper No. 1, CREW, Griffith University. Holley, S., Markey, R., O'Neill, S., and Thornthwaite, L., 2014. 'The Impact on Workers of Changes to NSW Workers' Compensation Scheme', AIRAANZ Conference, Melbourne, February. Markey, R, McIvor, J. Muhidin, S. Parr, N. O'Neill, S, Thornthwaite, L.and Wright C., 2014, 'Towards a National Standard for Long Service Leave: The case for portability' AIRAANZ Conference, Melbourne, February. Barnes, A., Thornthwaite, L. and Balnave, N., 2013, 'Using social media: the experiences of trade unions and employer groups', Work, Employment and Society Conference, Warwick University (UK), September, abstract refereed. Thornthwaite, L. 2013 'Chilling Times: Labour Law and the Regulation of Social Media Policies.' Labour Law Research Network Inaugural Conference, Barcelona, June, abstract refereed. Thornthwaite, L. 2010, 'A critical analysis of the role agency theory plays in executive remuneration', Refereed Conference Proceedings, AIRAANZ Conference, February 3-5, Sydney. Thornthwaite & Sheldon (2003) 'Employers, Employability Skills and Vocational Education and Training in Australia', 17th ANZAM Conference, [refereed] Freemantle, W.A., 2nd –5th December. Sheldon & Thornthwaite (2002), 'Business or Association? The Strategic Response of Employer Associations to the Decentralisation of Bargaining in Australia,' ANZAM/IFSAM VIth World Congress CD-Rom [refereed] 14 pgs. Sheldon & Thornthwaite (2001), 'Members of Clients? Employer associations, decentralisation of bargaining and the re-orientation of service provision: evidence from Europe and Australia', Business History Conference, Florida, [refereed], www.eh.net/bhc/Publications, 17 pgs. Thornthwaite & Sheldon (1997), 'Employer Associations, Dual Membership and the Problem of Conflicting Policies' in T. Bramble et al. (eds) Proceedings of the 11th AIRAANZ Conference, [refereed] pp.340-349. Sheldon & Thornthwaite (1996), 'Re-evaluating the Impact of Employer Associations on the Accord: An Analysis of Changes to Bargaining Structures, 1983-1993', R. Fells & T. Todd (eds) Proceedings of the 10th AIRAANZ Conference, [refereed] pp.495-504. Thornthwaite (1989), 'De-Collectivisation of Labour and the Equal Opportunity Tribunal', in Bray & Kelly (eds) Proceedings of 4th AIRAANZ Conference, [refereed] pp.87-106. Ferris, Thornthwaite, Kyng and Markey,(2015) 'Portable long service leave in the Building and Construction Industry', Actuaries Summit, Melbourne, May. Thornthwaite, Holley, Markey and O'Neill (2015) 'The implications of legislative changes to NSW Workers Compensation in 2012', AIRAANZ Conference, Auckland, 3 February. Skellern, Markey and Thornthwaite (2015) 'Identifying attributes of successful sustainable transitions for traditional manufacturing industry across regions in Australia', AIRAANZ Conference, Auckland, 3 February. Thornthwaite, L (2014) Labour Law, Social Media Policies and the Chilling of Voice', Law and Society Conference 2014, TC Beirne School of Law, University of Queensland, December abstract refereed. Balnave, N, Thornthwaite, L and Barnes, A, (2014) 'Using social media: the experience of trade unions and employer associations', invited paper, Cooperatives and Mutuals Teaching and Research Conference, University of Sydney, 19 November. Madore, I., Thornthwaite, L. Brooks, G., (2014) Toward an integrated conceptualisation of psychological health at work. Australian Psychological Association Conference, September, abstract refereed. Holley, S., Markey, R., O'Neill, S., and Thornthwaite, L., 2014 'The Impact on Workers of Changes to NSW Workers' Compensation Scheme', AIRAANZ Conference, Melbourne, February 2014. Markey, R, McIvor, J. Muhidin, S. Parr, N. O'Neill, S, Thornthwaite, L. and Wright C., 2014, 'Towards a National Standard for Long Service Leave: The case for portability' AIRAANZ Conference, Melbourne, February. Thornthwaite, Louise, 2012, 'Teaching Labour Law', invited presentation, The 2012 Labour Law Teaching Workshop, Australian Labour Law Association Annual Conference, College of Law, Australian National University, 15th November, 2012. Thornthwaite, L and Sangkuhl, E, 2012 'Lockouts, the Fair Work Act and Playing the Game', Australian Labour Law Association National Conference, 16-17 November 2012. Thornthwaite and Barnes, A. 2012, 'Social Media at Work', 26th AIRAANZ Conference, 8-10- February 2012. Thornthwaite, L. 2011, 'Work-family balance and employees' working time preferences', Equity, Diversity and Inclusion in the Workplace Symposium, Macquarie University, 24 November 2011 (invited paper). Thornthwaite, L. and Sheldon, P., 2011, 'Fair Work Australia: Employer Association Policies, Industrial Law and the Changing Role of the Tribunal', Fair Work Australia and the Legacy of the Commission, Colloquium, University of Sydney, 24 February 2011 (invited paper). Invited paper: 'Likely Future Developments in Work and Family Policy and Practice', Annual Labour Law Conference, ACIRRT/University of Sydney, 1st April 2004. Invited paper: Thornthwaite (2002), 'Balancing work and family: preferences of employees around the world', Working Time Today Conference, ACIRRT, Sydney University, August. Invited paper: Thornthwaite (1997), "What to do during your research to ensure writing up is as painless as possible", Postgraduate Student's Forum, 11th AIRAANZ Conference, Brisbane. Brosnan & Thornthwaite (1994),'Different Employment Forms and the Quality of Jobs', 16th Annual Meeting of the International Working Party on Labour Market Segmentation, Strassburg, France. Invited paper: Thornthwaite (1992), "The Impact of Anti-Discrimination Legislation on Public Sector Management: A New South Wales Study, 1977-1987", Gender and Work Conference, ACIRRT, University of Sydney, May. Thornthwaite (1991), "Between Scylla and Charybdis: The Relationship between Trade Unions and Women Workers", Australasian Political Studies Association Conference 1991. Editorial Advisory Board, Journal of Industrial Relations. O'Neill, S., Holley, S., Thornthwaite, L., and Markey, R., (2014) Workers Comp needs real reform not 'red tape' fiddling', The Conversation, 24 March. ABC Canberra Breakfast Show, Interviewed Live, March 2012. Sydney Morning Herald, 21 April 2012. Equal Employment Opportunity Law and Practice. 2005-2010, career break for work and family reasons - engaged in sessional teaching at UWS, UNSW and UTS. 2004, appointed Associate Professor of Management & Head, Human Resource Management Discipline Area, Sydney Graduate School of Management , University of Western Sydney,. 2001, appointed Senior Lecturer, School of Business & Informatics, Australian Catholic University, Sydney. 1995-1996, appointed Director, Centre for Research on Employment and Work, Griffith University. 1994, appointed Senior Lecturer, School of Industrial Relations, Griffith University. 1990, appointed Lecturer, School of Industrial Relations, Griffith University. 1986-1989, Lecturer & Tutor, Dept. of Industrial Relations, University of Sydney. Research Associate, Industrial Relations Research Centre, University of New South Wales. Senior Researcher (consultancy basis), Australian Centre for Industrial Relations Research & Training (now Workplace Research Centre), University of Sydney. Visiting Senior Fellow, Sydney Business School, University of Wollongong, 1999-2001. Visiting Professor, Dept. of Economics, University of Modena, Italy, July1997-Jan.1998. Visiting Professor, Dept. of Political Science, University of Florence, Italy, July1997-Jan.1998. Visiting Professor, Department of Sociology & Social Anthropology, Hebrew University, Jerusalem, Israel, 1994. Visitor Scholar, Institute of Industrial Relations, University of California at Berkeley, USA, 1994. Professor Ray Markey and Associate Professor Louise Thornthwaite from the Department of Marketing and Management, and Associate Professor Sue Wright from the Department of Applied Finance and Actuarial Studies are referenced in the Financial Standard in a piece about their report, 'The Success of Representative Governance on Superannuation Boards'. Dr Louise Thornthwaite from the Department of Marketing and Management was referenced in a Sydney Morning Herald article, speaking about the new Bachelor in Business Leadership and Commerce, which addresses a demand for both soft and hard business skills. Dr Louise Thornthwaite, who helped design the course, says students pass through a tight screening process. ''Many applicants have been prefects or school captains... people who show a commitment to doing things outside of their own circle,'' she says. Thornthwaite says universities are trying to differentiate themselves by pairing different knowledge bases and skills in their degree programs. ''Competition will only increase [and] students are clearly looking for those sorts of options,'' she says. Dr Louise Thornthwaite from the Department of Marketing and Management contributed the piece "Facebook is work, you just don't know it yet" to the Conversation, republished by All Voices. Last Updated: 2015-08-04 10:44:29 by Unknown.